Dr Steffen is granted for the title of “Investigating the prognostic contribution of immune cell infiltration in rectal cancer“, and will undertake his fellowship in the Bower Cancer and Biomarker Laboratory at the Kolling Institute with Prof Mark Molloy. Approximately 5,000 Australian men and women are diagnosed with rectal cancer each year. The aim of Dr Steffen’s CINSW fellowship is to understand the involvement of immune cell infiltration in rectal cancer, how this impacts on tumour biology and how it affects patient outcomes. 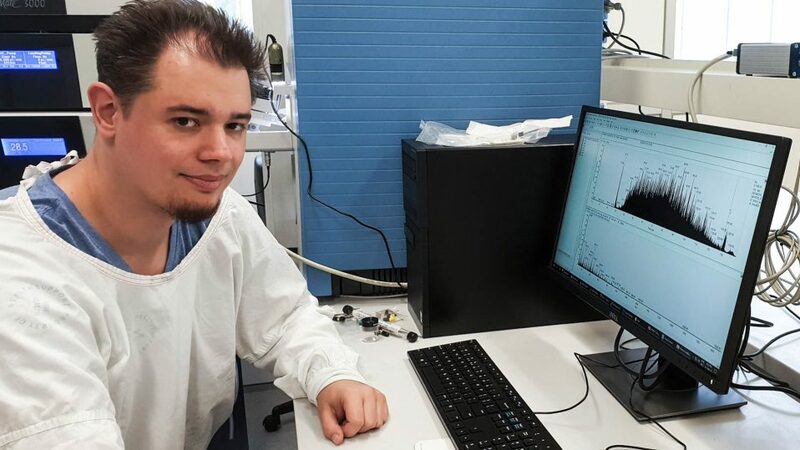 Over the next 3 years, he will use the recently installed Orbitrap HFX mass spectrometer (funded by Bowel Cancer Australia and the University of Sydney) to examine the proteome of rectal cancers stored in formalin-fixed paraffin embedded tissue specimens from Royal North Shore Hospital. He hopes to characterise rectal cancer proteomes at unprecedented depth and link this information to patient prognosis. Further, Dr Steffen will work to resolve the complex immune cell architecture of these cancers by using a new technique of imaging mass cytometry available at the University of Sydney. The outcome of this research will lead to new prognostic biomarker panels, provide a better understanding of immune cells in rectal cancers and pave the way for new treatments. Dr Pascal Steffen is from Hamburg, Germany. He attained his Bachelor and Master degrees in Chemistry at the University of Hamburg. After his joint PhD in the group of Prof Mark Molly at Macquarie University, Dr Steffen was recruited to the newly formed Bower Cancer and Biomarker Laboratory established by the Lawrence Penn Chair of Bowel Cancer Research, Prof Molly in 2018. Sydney Vital would like to congratulate Dr Pascal Steffen and we are looking forward to seeing his research outcomes from the Early Career Fellowship.